Home / Young, Black and Social! Known as both a college town and an early-career launchpad for millennial “go-getters”, Boston attracts a pretty large and diverse crowd of ambitious transplants. In a region where it seems almost everyone is just trying to get ahead, the Northeast gets a bad rap for being cold in more ways than one… but it doesn’t mean great connections and memorable experiences can’t be found! The truth is, your social experience is an important part of who you are here. Depression is real. Isolation is real. Plain old boredom is real. If you’ve found yourself in any of these predicaments lately, check out these social tips for the urban young professional living in Boston! Let’s get the obvious one out of the way… you’ll definitely have to consider attending a social networking event to expand your social circle. If you’ve found your way to this post, you’ve probably figured out what the LiteWork Events brand is about  Think the opposite of nightlife – networking events/ mixers (#LiteWorkAfterWork), day parties and the arts. There’s also the Young Black Professionals (YBP), which organizes after work meetups, an annual beach day, and pretty much anything that might get Black and Brown folks to try something new. You may find one of the local Divine 9 orgs (see Fraternal Organizations) hosting a seasonal mixer, such as Sigma Gamma Rho’s After7 Mixer, Omega Psi Phi’s Owt After Work or Alpha Phi Alpha’s Alphas After Work. Civic organizations such as the Young Professionals Network of the local Urban League Chapter (YPN-ULEM) and the Boston Branch of the NAACP also occasionally host pop up after work gatherings. For the guys, you can also make great connections at the Boston Men’s Dinner Group. If you’re a young and career-driven Black professional in Boston, you are not alone! There are many ways to surround yourself with like-minded young professionals in your industry. To name a few, the National Society of Black Engineers (NSBE), National Association of Black Accounts (NABA), and the National Black MBA Association (NBMBAA)  all have active chapters here in Boston. Did I mention that they are all co-hosts of Black Boston’s biggest formal affair – the Ebony Winter Gala?! Click HERE to view our list of Black Professional Organizations in Boston. Nothing says “Black Millennial” like a good old brunch, day party or early evening social. Check out brunches like NYA Boston’s #RnBrunch and casual get-togethers like Kickback Boston’s Trappy Hour. Also try Dream Sundayz #BrunchSoHard or sample the chicken and waffles at Ova EZ! Vibe at day parties like CLLCTV.US The Wave, where you’ll find dope people without the clutter and big-to-do of typical nightlife. Note: Boston “day parties” tend to go well into the “early evening” (see below)… so don’t be surprised by the late crowds at a majority of these events! Photo cred: A snap I took at The Wave! I’ll admit, some of these events are not without the occasional scatterings of cliques and pre-formed friendship groups, but if you’re out to have a good time, you’ll run into the approachable kind, too! Now, don’t get me wrong… There’s nothing wrong with a good night out, so I’m not knocking the club completely. Monday: Umm… Catch up on reality TV and club vicariously? Boston doesn’t really have a Monday night club scene but the W Hotel Lounge is a low key alternative! Tuesday: Stay home & read book…. Again, nothing’s poppin’. Wednesday: Not my thing but I’ve heard people enjoy Storyville! Thursday: Meet @PrittyUglyMedia at Venu Boston! Friday: @Rhoaming‘s Strictly Reggae, @B.ENT’s Champagne and Trap or another @PrittyUglyMedia night at ICON! Sunday: I’m sure you’ll find a day party. Boston loves Sunday parties; they’re everywhere! But if you must hit a scene, you guessed it… look for @PrittyUglyMedia (at Venu)! Although limited, Black owned businesses in Boston do, in fact, exist. Darryl’s Corner Bar + Kitchen in the South End is known for its intimate jazz nights and Southern comfort food where you’re always likely to run into a friendly face (especially if Denise is behind the bar)! Slade’s Grill and Bar will give you a bit more of a down home atmosphere and the fried chicken is a local favorite. 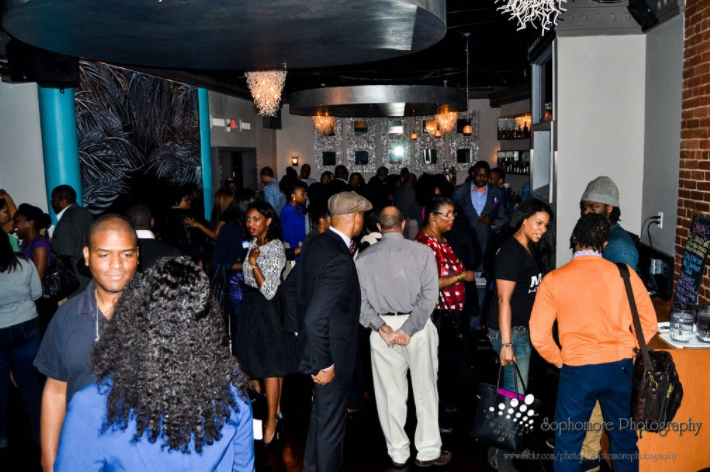 Savvor Restaurant & Lounge is newer on the scene and mixes it up between regular Friday and Saturday night parties, private events (see below) and a Caribbean-inspired menu… Now there you have at least 3 places to #BuyBlack! Click here for a list of “20 Minority-Owned Restaurants Catering to Black Professionals and Millennials in Boston”! Put your “alumni” status to good use and get involved with a local chapter of your alumni association. Maybe you’re not yet ready to write off checks to your beloved institution, but there are other ways to give back! The HBCU network in Boston is represented by chapters of FAMU, Morehouse, Spelman, Clark Atlanta, Hampton and Howard. Don’t just cash a check; explore your passion! Got a side hustle keeping you up at night? Cultivate your passion by exploring one of Boston’s many professional and creative resources. 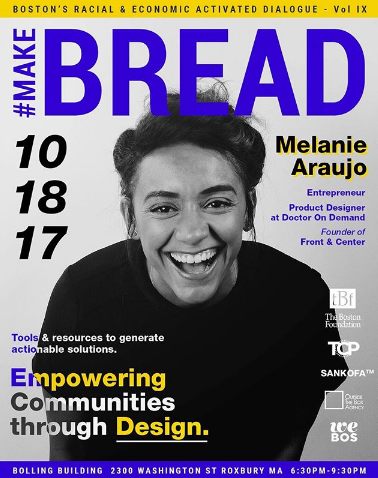 Conferences like MIT Sloan Africa Innovate Conference attract local and national innovators, entrepreneur hubs like the Hunters Space and BREAD Boston bring together local visionaries to nurture connections, and accelerators like the Fairmount Innovation Lab provide support to local creative enterprises. Even if your passion is just a hobby, there are tons of ways to connect with people aligned with what makes you, you! Insert social responsibility lecture here… No, but really! As young professionals, we have both the privilege and responsibility to lend our unique talents to serve our local community. Youth organizations such as BUILD, Minds Matter, and the Big Sister Association are always seeking professionals of color to mentor youth, especially toward college readiness. In the process, you’re bound to meet other professionals committed to service, too! Don’t just get connected, stay connected! This one is basic but, I’ll end with this… the key to building your social circle is to follow up! After the mixer or meet up, don’t be afraid to exchange business cards or other personal information. One thing you may learn about Boston is the fact that (in most cases) social opportunities won’t just land on your lap. Join a mailing list, Facebook group or even a group chat with mobile platforms like GroupMe to keep the connections going! Summers in Boston will definitely give you a lot to do! Be on the lookout for trips to Martha’s Vineyard, the annual Juneteenth Picnic, day parties where the sun is actually out (lol, see below), and rooftop mixers! Questions, comments or suggestions? Email me at info@liteworkevents.com!